There are initiatives to encourage women to enter STEM fields. Organizations have programs to recruit women. Then what happens? 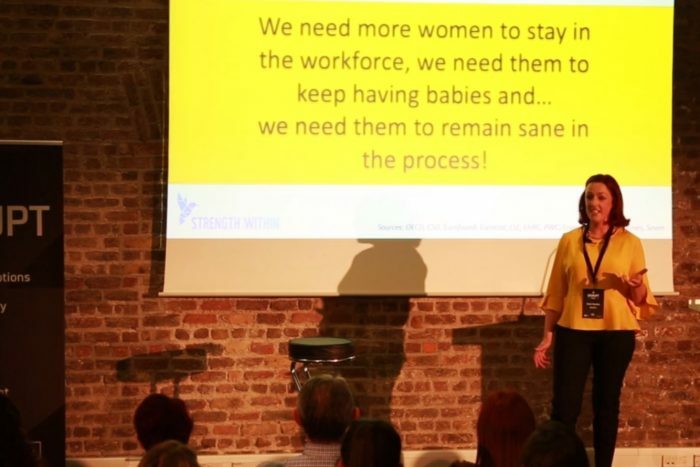 That was the focus of her DisruptHR presentation last year in Dublin. “Help your female talent through the early parenting years and they’ll come back to your pipeline when they’re ready,” Flannery said, urging support also for new fathers who, though they typically continue on with their career, still share parenting responsibilities. How might companies support their female workers? Don’t judge, but approach new and expectant parents with an open mind, she offered. Provide support for them, before and after their child is born. Expect that employees, especially women, will have children and plan manpower around that, and “use leave to stretch other talent.” “Small steps make a big difference,” added Flannery.